WCHG were delighted to win the Best Large Development Category in the 2017 National Housing Awards. The Awards, now in their 11th year, celebrate excellence in #homeownership from around the UK and the ceremony was held on Thursday 7th September 2017 in London. ‘Village 135’ is a development for the Over 55’s that takes extra care to the next level. The state of the art facility opened in June 2017, offering 135 new homes for the Wythenshawe community with fantastic onsite facilities including a Bistro, Spa and Hairdresser. 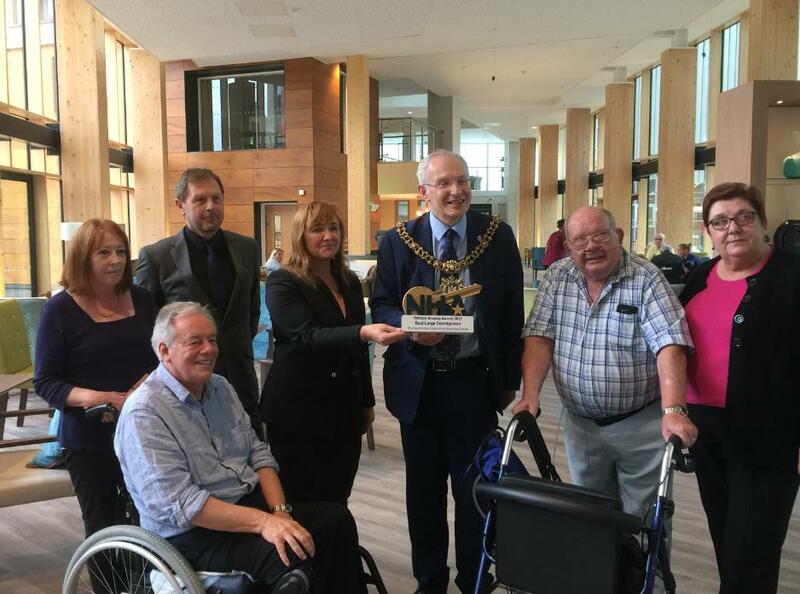 The Lord Mayor of Manchester, Councillor Eddy Newman, said, “I’m absolutely delighted that Village 135 has received this recognition for this outstanding 24hour Extra Care Scheme. Village 135 will provide specialised housing to suit the needs of older people, helping them maintain their independence, whilst creating new, local job opportunities. This development is a fantastic addition to the Wythenshawe Community and to South Manchester”.